Congratulations to last week's winners! Your Back to the Future II DeLoreans have been shipped so let's just hope the FedEx guy doesn't hit 88 mph, otherwise they may arrive in a different timeline. This week we're giving away tricks and treats. That's puzzles and candy, respectively. Hit the giveaway button at the bottom for a trick or a treat! Speaking of Halloween, I have often wondered where the origin of the Jack O'Lantern comes from so I did some research and came across this tall tale. It's a bit of a long story so as always, if you get blog-readers fatigue, refer to the tl;dr (too long; didn't read) section below, which sums up the blog every week. When Stingy Jack eventually passed away several years later, he went to the Gates of Heaven, but was refused entrance because of his life of drinking and because he had been so tight-fisted and deceitful. So, Jack then went down to Hell to see the Devil and find out whether it were possible to gain entrance into the depths of Hell, but the Devil kept the promise that had been made to Jack years earlier, and would not let him enter. "But where can I go?" asked Jack. "Back to where you came from!" replied the Devil. The way back was windy and very dark. Stingy Jack pleaded with the Devil to at least provide him with a light to help find his way. The Devil, as a final gesture, tossed Jack an ember straight from the fires of Hell. Jack placed the ember in a hollowed-out turnip...one of Jack's favorite foods which he always carried around with him whenever he could steal one. From that day forward, Stingy Jack has been doomed to roam the earth without a resting place and with only his lit turnip to light the way in the darkness. In Ireland and Scotland, people began to make their own versions of Jack’s lanterns by carving scary faces into turnips or potatoes and placing them into windows or near doors to frighten away Stingy Jack and other wandering evil spirits. In England, large beets are used. Immigrants from these countries brought the Jack O’Lantern tradition with them when they came to the United States. They soon found that pumpkins, a fruit native to America, make perfect Jack O’Lanterns. 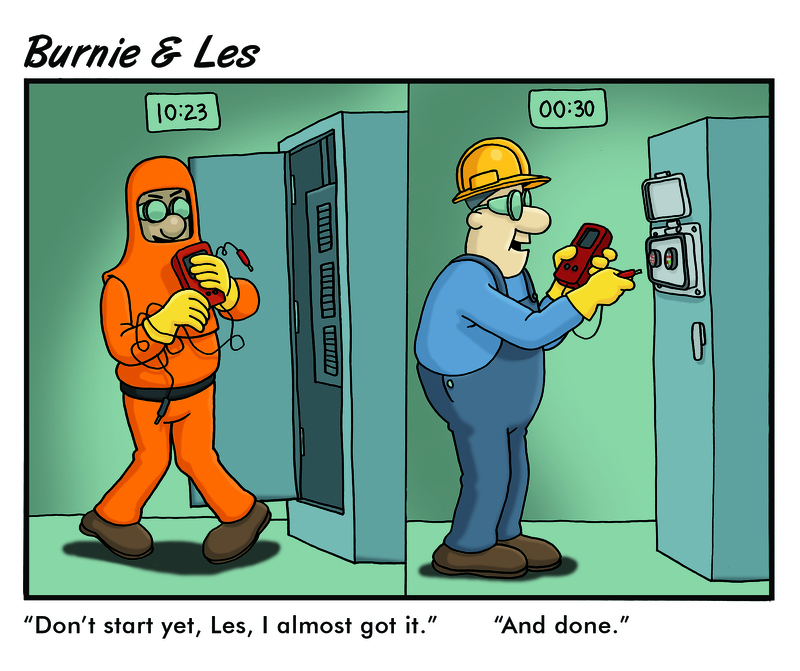 Burnie & Les are tasked with completing a simple voltage verification test. Les is utilizing the VTS while Burnie insists on doing things the old fashion way. Grace Engineered Products, in collaboration with Putman Media, is relaunching The Current Monitor. Dedicated to improving electrical safety in a real-world industrial setting, The Current Monitor has a simple mission; to leave the electrical safety culture better than we found it. Join us in the electrical safety conversation at TheCurrentMonitor.com and help us leave the culture better than we found it. We are prepping to relaunch The Current Monitor, our sister website dedicated to improving electrical safety culture. 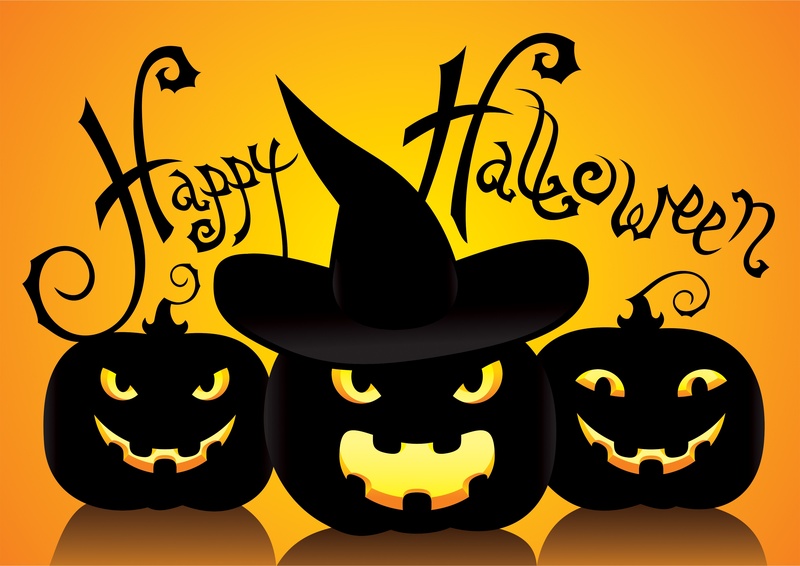 Fun Fact: According to legend, Jack O'Lanterns were used to keep Stingy Jack away; a deceitful drunk damned to walk the Earth for eternity because he was banned from entering both Heaven and Hell. Although, we don't use turnips and potatoes anymore.